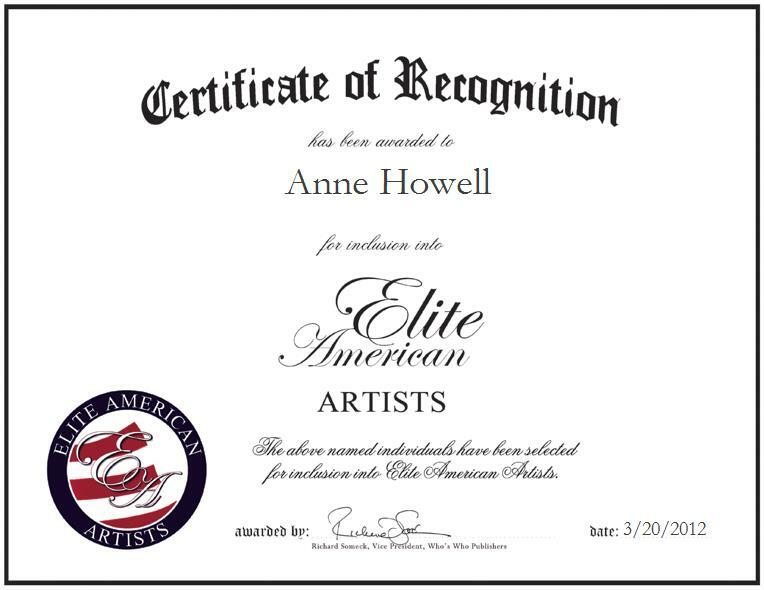 Anne Howell is a writer based in Dana Point, California, who is renowned for her creativity and for her ability to transpose well-written stories and real-life incidents into riveting narratives. She is a recipient of the Most Outstanding Female Artist of the Class Award, as granted by the Walt Disney Board of Directors. The “Best Story Contest” winner was prompted to begin writing professionally because she has long enjoyed writing and adapting stories that would drive readers to delve into her world, and the world of each unique character, through the simple turn of a page. Ever the passionate and ambitious writer, Ms. Howell looks forward to becoming a best-selling writer, producing a series of books, and working on a television show in the years to come. She recently published her first book, which is a true story. It will be available at Barnes & Noble and on Amazon.com. Ms. Howell enjoys riding her Harley-Davidson motorcycle in her spare time.